On the one hand this is a more normal week. On the other hand, it’s still snowing so my shopping days will be limited. As of now it’s looking like Wednesday will be the best bet – Tuesday and Thursday may be possible. Friday depends on what happens with the snow they’re forecasting for Thursday evening. We had an elementary school fundraiser last week at a local business. It’s a farm stand that’s open year round so this time of year most, if not all, of the produce is imported from elsewhere. 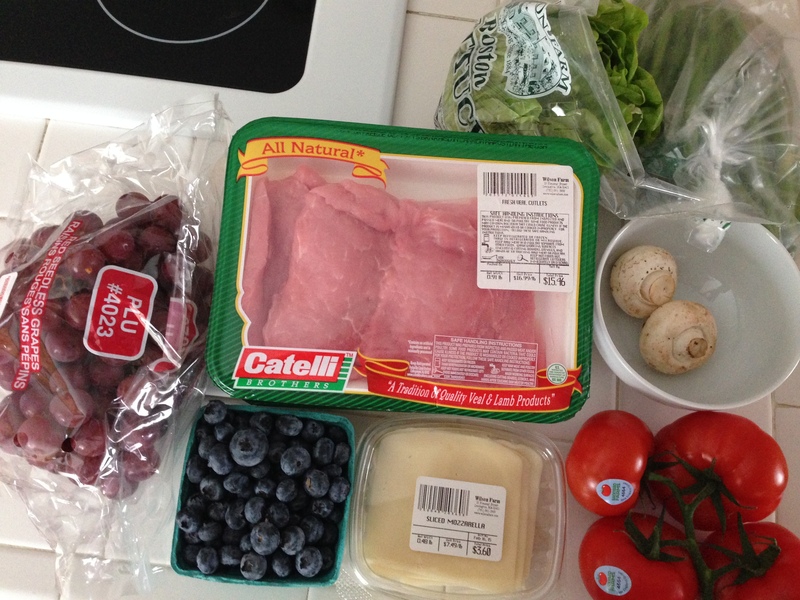 But, here’s what I got (yes, I really only bought two mushrooms). As such, I don’t go there much in the winter. All that being said, an adult is gone for three dinners this week. Put that with all the snow shoveling and we’re splitting dinner most nights. Here’s the meal plan for this week.